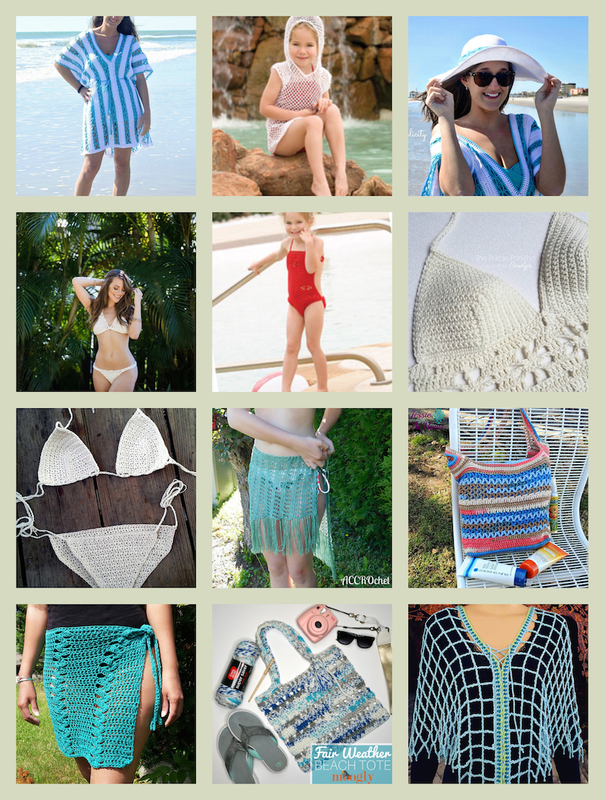 This roundup includes free and premium crochet patterns for girls' and women's swimsuits and cover ups, beach bags, and a sunhat. All images are copyright the respective designer or publisher and are shared with permission. Beach Day Cover-Up Tunic, free crochet pattern by Pattern Paradise: This striped tunic is made with a cotton blend yarn. Lacey-Mae Bikini, free crochet pattern by Kristin Omdahl: This bikini features clustered scallop edges and the pattern includes a video tutorial. Kari’s Bikini, premium crochet pattern by Brandi Isham: This pattern is available in 4 sizes. 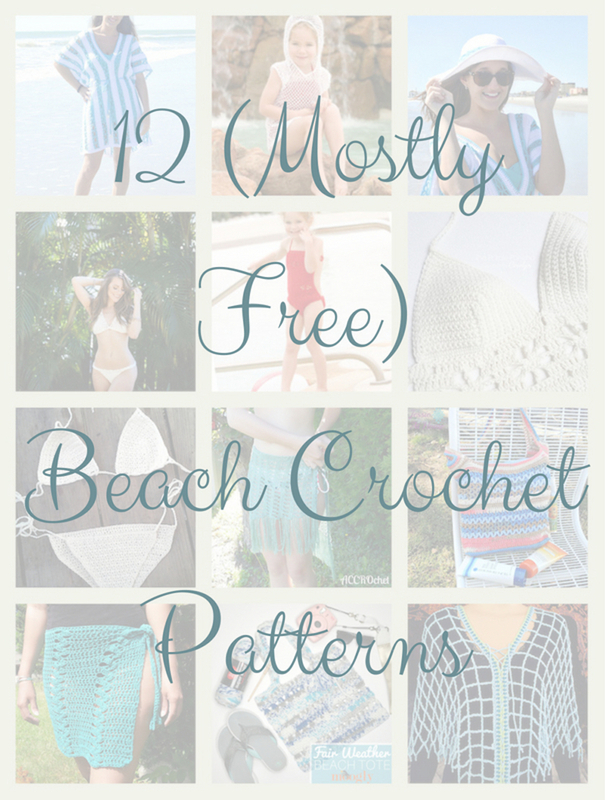 St. Croix Beach Wrap, free crochet pattern by Same DiNamics Crochet for Cre8tion Crochet: This versatile wrap can be worn as a shawl or as a beach cover up. Splash ‘n’ Fun Swimsuit and Cover Up, free crochet patterns by Jenny King: These patterns are available in children’s size 2-3 and 4-5. 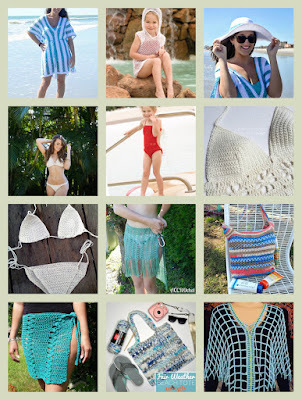 Maui Wrap Swimsuit Cover Up, premium crochet pattern by ACCROchet:This lacy, swimsuit cover up with fringe is available in 5 sizes. 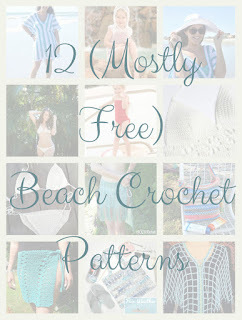 Fair Weather Beach Tote, free crochet pattern by Moogly: This tote bag also has a video tutorial available. Beach Day Sunhat, free crochet pattern by A Crocheted Simplicity: This brimmed sunhat is finished with a lace tie. Floral Bikini Top, premium crochet pattern by The Purple Poncho: You can customize your size by choosing one of three bikini cup sizes to interchange with 3 floral pattern sizes. Coastal Beach Bag, free crochet pattern by Jessie At Home: This flat bottom bag is perfect for carrying along on a warm day. Aquarienne Beach Cover Up, premium crochet pattern by Vashti Braha: This project is made with Tunisian crochet. I hope you've enjoyed this roundup! 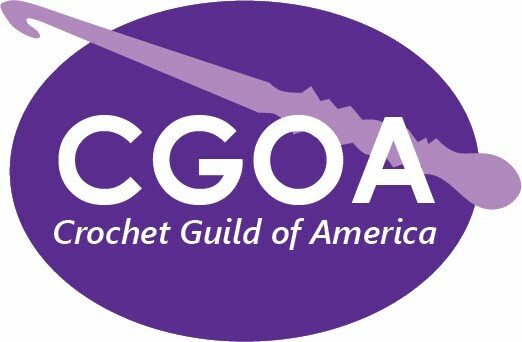 You can find more inspiration on my Crochet Pattern Roundups Pinterest board.